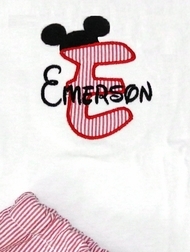 It's you little boy's monogram initial wearing a Mickey Mouse hat! 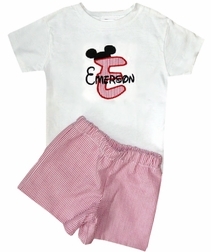 We start with a white t-shirt and applique it with your little one's first name initial in red stripe seersucker with a Mickey's ears hat on top. You may also have the full name monogrammed as shown. 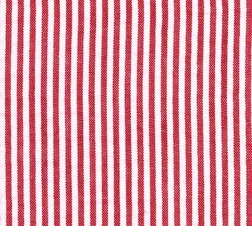 For a complete outfit, pair the shirt with red stripe seersucker shorts or pants. The trousers have an elastic waist for comfort and better fit.